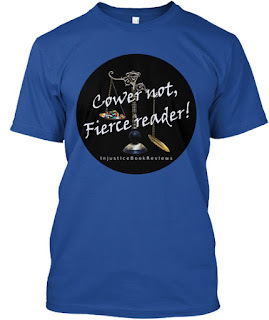 Cower not, fierce reader! This fine day we have a fine selection of adventure sure to chill the heart of truefen. Iced desserts are popular, are they not? Let us see our buffet of thoughtcrime! Please note: I'm now including Amazon links to each book(I am an affiliate now, I might as well, as many books as I review). Today, I'm going to make some of you scramble to find this. It's fun, it's beautiful, it's pulpy as all getout. These were cowritten by Frank Espinosa and Marie Taylor, with Espinosa doing the art. Warning: I will be putting in some plot spoilers here and there. This is the start of a journey past the edges of civilization, where none have returned from. We open with a side tale told in issue 0 that had a little added to make it fit the mold of the rest of the story. Great move, and it gets the reader involved. This may or may not be our Earth, there's been great disasters and interventions from monsters and something close to gods. The world has been reshaped, and man has changed, to include (l to r on the cover) Mappers(Rocketo Garrison is one), Earth Men(Epiku is a such), Dogmen(Spiro Turnstile), Inventors(Doc) and Silent Men(Boaz), with Birdmen, Tigermen, and the Lucerne filling roles as allies and adversaries. Also, monsters. Plenty of Monsters. Rocketo Garrison is a Mapper, the son of a long line of Mappers. Once their compass alights, they have an unerring sense of direction, vital in a world that has lost its magnetic field. Mappers explore, add to the knowledge of men, and fight monsters. Rocketo's compass awakens when his parents are killed by a monster known as the Omerylla Coil, which disappears suddenly with his compass lighting. He gets fostered by another Mapper, and shirks the Guild when he grows up, to face adventure. In a war, he chooses sides, and ends up captured and providing a weapon for his enemies, the Lucerne. After the war, he takes over a lighthouse, only to be interrupted by his old friend, Spiro, who's putting together a crew, and also fleeing the Hand, a criminal organization with operations over large parts of the world. Said adventure happens(not spoiling more here), their ship is attacked, and Spiro, Doc, and Boaz end up meeting the first mapper, and Rocketo and Epiku are lost. 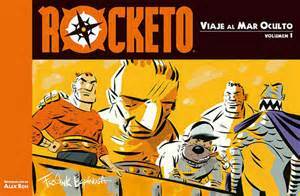 Rocketo is lost. He starts wandering amidst a sea of wrecked ships. His friend Epiku is hurt, and Rocketo collapses trying to get him to help. Rocketo awakens to a mysterious woman. 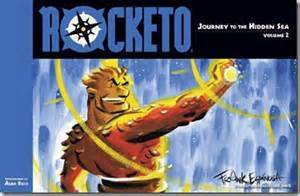 Yes, this book does have a strong woman, but she is no fighter, nor is she nearly as strong as Rocketo. She has her own strengths, and this book does not play copy paste or gender swap. So, books first, some authors I'm friends with have mentioned Powers of the Earth, by Travis J I Corcoran. Now, I've not read any of this man's work, but reading the page, he seems to evoke the best of Heinlien and Niven adventure, hopefully without the degenerate parts. (Heinlein juveniles, not the Lazarus Long books). In the about the author section, there are some great negative quotes from Daily Kos and Warren Ellis(who has written some great comics, but is a leftist loon). Now, sff humor luminary Robert Kroese has a trilogy up called The Saga of the Iron Dragon. This, however, is more of a straight alternate history sf book, and not a comedy. Kroese is a great humorist, and skillful writer. I have no doubt he'll deliver, and I have great hopes for this. However, Rex Nihilo in Out of the Soylent Planet comes first. On to boardgames! I do encourage watching videos of gameplay and reading the rules before backing. Brother, I'm not big into party games, but I gotta tell ya, Smack Talk Showdown looks to be the real thing for getting people hamming it up and laughing. This is yes, a party game of wrestling promos with random names and odd settings. You don't want a physical copy? You'll get print files for $5. Carl Chudyk is the king of shared action games, starting back with Glory to Rome, Innovation and now, there's a 2nd edition of Impulse(and expansions) coming. This is not the Asmadi artwork, but instead is more stylized art from the company that printed the Polish edition. It's a bit of a fast 4x style game, but more on the Euro side, so it may or may not be for you. Do you like 3D boards with some functionality? Are you nostalgic for some old Mattel game with marbles? Yeti Mountain is looking to recreate Fireball Island, a game with a large following on BoardgameGeek. Academy Games is at it again with 878 Vikings. This is a 2-4 player game about the Viking invasion of England. They knocked it out of the park with the new edition of Mare Nostrum, and the fact that there's a mini of Alfred the Great kinda clinches it for me. My experience with Mare Nostrum says the board is likely plenty large unless you want to run it at conventions, in which case you MAY want the giant map. 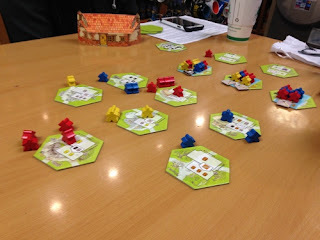 A few years back, AEG had a cooky little game that's coming back: The Island of Doctor Necreaux. I can't attest to the game's quality, but I will say the flavor is plenty pulpy, with CyberSharks, Psychic Amplifiers, Diabolical Research Labs, Escape Shuttles, and lots more. Lastly, a couple of roleplaying projects. There's a new pair of supplements for the Adventurer Conqueror King System(ACKS), which has been pushed by both Jeffro and Vox. They've even agreed to a Dark Lord class, and Vox hinted at another cool thing if there's enough support. I think I need to start looking into the books for this game. Noir World is a game of hardboiled crime fiction powered by the Apocalypse Engine. I have some friend that love the simplicity of the system, though this one is designed to be GM-less, which makes me a little wary and intrigued at the same time. To reward my faithful audience, and make myself a little money, I've setup a store on TeeSpring. Cover artist and author Dawn Witzke graciously made the first design, and I'm hoping to get at least two more in the near future. And yes, I have one of the tees already. It's cozy and does look that good in real life. Go ahead, give some SJWs panic at cons. You might notice a couple of buttons on the left side that are new. I need to start at least trying to get something out of the blog, especially the book reviews. This is not a complaint, but a simple statement of my fiscal reality. I do low paying grunt work for a living. HR people in IL consider me unskilled labor, because the market is so oversaturated that they don't have to worry about a person's ability to acquire skills, just the experience they already have. Wages are also depressed to the point that most factories and warehouses barely pay over minimum wage, unless they have a reputation for treating people badly. I've been called a professional reviewer a few times, and I really should try to get something out of any book sales I help induce. So, if you are so inclined, please, use either the donate button or the poor looking injustice books button on the left. I'll see if I can pretty it up, but it'll do for now. I'm hoping to get an affiliate account for tfaw and possibly miniature market as well. Authors, if you're reading this, I'll gladly have my book purchasing reduced, though being given a copy is no guarantee of a review, nor do I have mercy on what I perceive to be bad writing. New to the blog? Check out a couple of book reviews first, that's what the tabs are for. I hope I can give a good return on any monies granted. I'm not up for a regular payment setup, as life happens, and I will occasionally have slow times. That said, the more comes in, the more I can give to the blog. And possible other writing, but no guarantees there. Because it's the COWBOY WAY. Fierce readers, I know that Marvel and DC in their main lines have little to offer us but insults, hand wringing, and preachy message fiction. I stopped reading most superhero books because of that. However, DC does have one book that so far has avoided such things. Maybe it's because it's a nostalgia book, maybe it has fewer editors, maybe the writer is a classier guy than most at the big 2 these days. This book is Hanna Barbera's Future Quest. Yep, if you haven't looked, all the major Hanna Barbera heroes are there. 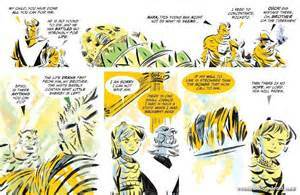 The Quests, Birdman, Space Ghost, The Impossibles, The Herculoids, and more, sharing one adventure. Yes, I know there's been some atrocious things done to Archie, the Flintstones, and Scooby-Doo lately. That hasn't happened here. The author has a plan, and he has to: the series is only going 12 issues, so if you go for the trades, it'll be 2 volumes. Unless there's demand for a deluxe edition or the like. Anyway, back to my point. The characters all feel right. There's two very minor points that could be construed as appealing to minorities, but they're both well written, and feel like throwaway bits as far as I'm concerned. The Quests feel like a family, Race Bannon is most definitely an action hero badass for a non-powered guy. There's real heroism in the first collection. Sacrifice, so that others can live and fight on against a truly existential threat to everything. The art is dead on, so don't worry about your favorite character getting completely redesigned. Unless Frankenstein Jr. or Mightor was your favorite character, and they had story driven changes. Why am I taking so much time to point out this comic? Because my friend Jon Del Arroz has recently lamented a lack of fun comics from Marvel, things he can enjoy and share with his children. I honestly can't guarantee kids will get the characters unless you purposely get them watching the old cartoons, but this is good stuff, it's fun, it's clean, and honestly, it's noble. I'm really hoping DC takes note of how good this is, and steps up with similar material. I don't want copies, but I do like some all ages fun on occasion in my comics. Now, I have admitted to being part of the Rabid Puppies crowd. That said, that's not a movement, or a tight circle of friends. I'm not Vile and Faceless, and I'm not sure if I would qualify as Ilk or Dread Ilk. I also don't care, to borrow the motto. Now, there are several movements against establishment sff right now, and I find a lot to like out there. The SciPhi group, which I have slacked off on, has a lot of ideas, and love hard thinking. The Pulp Revolution group loves proper action and stuff. The Superversive movement likes uplifting stories, and apparently is wanting to define itself well from all reports. I missed the podcast, and don't have that much time to listen; as it is, they come after GeekGab, jimfear138, and Catholic Geeks(this is no insult). I only caught this because jimfear138 did a written post(I wish he'd do that a bit more) on a conflict that he thinks Anthony M. was referring to him on. And, being inclined to drunken, spergy rants(a paraphrase of his words), he wrote somethng close to 3k words responding to less than 500. It's a great rant, and jim makes it clear he likes the Superversive folks and sees them having different focus and goals than the pulp revolution. Now, part of this is because Jeffro and Daddy Warpig like writing great inflammatory posts full of hyperbole. They're making a point, and part of that is blowing some things out of proportion. This is the same school of rhetoric as POTUS, so study that a bit first if you have trouble with it in sff. I also know that parts of the pulp revolution group want to focus on old pulps only, and some want to split between that and some new pulp style works. The Superversive movement has an ideal I like, but favoring defining your group over talking books? That's not for me. I also like a broader range of fiction than what I review here, and the fact is, I don't like boxes. Not quite fitting in is normal for me. I'm a musician. I'm a Christian. I'm a comic book geek. I'm a gamer(mostly boardgames). I'm a bibliovore. My interests are diverse, and I try to gain some measure of depth in many of these. This makes fitting in sometimes easier, sometimes harder. It depends a bit on the circle. Why did I write all this? After reading jim's post, I mentioned I didn't know where I fit. That was not quite right, as I do have a clue, I just sometimes forget: I'm an Independent Contractor in the Evil Legion of Evil. Cower not, fierce reader! Ok, I'm not going to give this my normal review. I'm going to rant about this book. This book is FUN. Yes, people are comparing it to Hitchiker's Guide to the Galaxy. You know what? I like this much better. Oh, don't get me wrong, the former was a lot of fun to read, but I don't find it worth revisiting. Why? most comedy doesn't hold up as well on repeat visits, especially written word. That's not the case here. First, I've gone backwards a few times to reread segments. Second, it sets up what has now been committed to, Out of the Soylent Planet. Third, (this is definitely just opinion), this has far more plot than Douglas Adam's renowned work. Without spoiling the implementation, there's a take on the "Who's on First?" routine. Not actually that uncommon, but to actually write one that in just text will make me laugh? (delivery matters a lot) I'm impressed by the man's ability to tell jokes while advancing plot and characters. Even the set pieces like the aforementioned keep everything moving. I've read books that amuse. Steve Martin isn't nearly as funny in text, and suffers greatly on subsequent readings. Piers Anthony devolved into making labored efforts to add more puns, and they actually took away from the story being told. Glen Cook's Garret, PI novels are solid, but don't hold up to being reread. Adams, at spots, just seemed to depart from telling a story, and some of the absurdist humour doesn't hold up; it's funny ONCE. Robert Kroese? Made me laugh, made me guffaw, and while I could see the joke being setup, it happened seamlessly. I knew a joke was coming, maybe more than one, but the way the story flowed, I didn't care. He blindsided me with puns on multiple occasions, and it fit the plot. I've only read one non-Grifters book by Kroese so far, and I know I need to make that up sometime. I liked this one better than Starship Grifters, and probably that was due to having more its own identity instead of being tied tightly to Star Wars. Cower not, fierce reader! The Supreme Dark Lord once again has blessed me with a review copy, and it is filled with attacks on SocJus. To the charges! Well, Scalzi and Tor already were triggered enough to pressure Amazon to pull the original title due to being "misleading" with the cover and author name being so similar. Well, I guess now they'll lose more sales, since nobody will look for the lessor book. Elitist leaders are shown to be what they are: scheming, untrustworthy, self-serving cowards. For the most part, the point that exceptions exist, though rare was also made at the same time. The characters within this story are also people(loosely) of action, talking less than thinking or acting. The conversations still grant us insight to the characters, but it is the actions of each that tell us more who they are. As one who likes adventure, romance, and noble things, I can tell you that there are many in here. In spite of tragedy, or rather because of it, the characters take action. The story, in success and failure, uplifts through it's determination to act against tragedy. Time to talk about some pulpy comics again, and I've got one of the most adapted characters to entertain. It looks pretty good, and does represent a part of the story, but it's not Russ Manning's work. And while that in an issue isn't bad, on a collection from classic artists, I expect to see art from the guy that drew it. (Yes, I said guy. Deal.) Now, Manning's art is mostly fairly realistic, with the characters having mostly average builds. 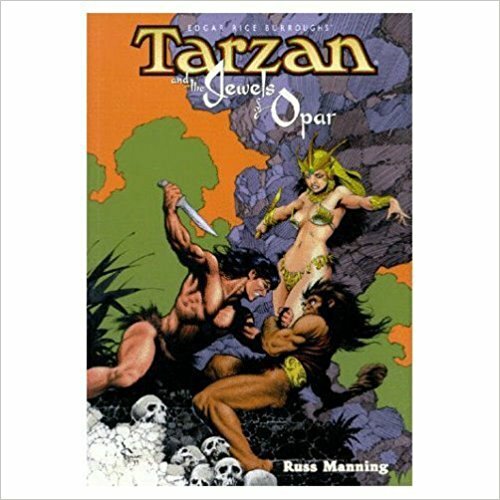 Not quite my favorite, especially with fantastic tales of adventure like Tarzan stories. My only artwork critique is that Manning seems to have more issues with static poses and friendly encounters than action and conflict, which come easily to his hand. If Manning isn't to your taste, that's ok. Plenty of others have drawn Tarzan, and I'll cover at least one more later on. But, for next time, a more modern pulp style work that deserves its teased sequel. 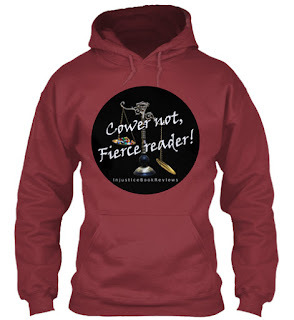 Cower not, fierce reader! Today we have a book that combines genres, archetypes, and conventions in a way that will absolutely trigger the forces of Social Justice. I found this book through a site that gave favorable review of Marina Fontaine's Chasing Freedom recently, Literary Rebel. I took a look, and they aren't tied with any of the "movement" groups that have been springing up on the side of Injustice(which serve good purposes). Rather, this group appears to be more broad in their tastes, and explores fiction with an anti-SocJus bent in many genres. The tagline is "Books, for guys who like books". I might soon be doing some more standard book reviews there, though my name may not be on them. Anyway, that's enough of the preamble: on to the charges! First charge: This author clearly loves Mickey Spillane, and Mike Hammer books in particular. The authorities of literature and Social Justice have been railing against Mike Hammer for DECADES. And I don't mean one or two. I mean since the beginning, 1947. For those not in the know, Hammer is violent, loves women, and likes killing criminals. He's got a hot secretary he eventually gets together with. While there's a few other influences here and there, Mike Hammer is the PI that comes through loud and clear, and thank God. Second charge: There's a theme of redemption here. Oh, it's not blatant throughout, but it shows itself by the end. That a criminal might get out, and try to redeem himself is hardly a new story. It's not even new in comics: Astro City did something along that line in The Tarnished Angel. It's not a comic, so why did I mention comics? Because, third: It steals everything it can from superhero comics, and treats it with respect. Not the type that says it's sancrosanct, and not the type that wants to change what they are to their vision of the world. 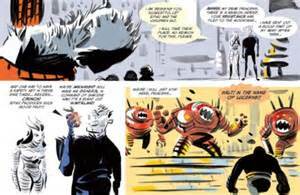 Rather, this takes forms comics have, and have had, and loves them, by applying them to their neighbors in ill repute, the pulp crime detective novel. Charge the fourth: There's a local government agency to deal with cape crime. (See Powers for a capes police procedural) But can you trust them? Why would anyone trust the government? They lie, conceal, and blatantly avoid the truth when it suits them. My friend JimFear138 put a link on Twitter last night to a Sabaton song. That put me in the mood for something badass. Christopher Lee, British special forces, qualifies. Yeah, it's not an ApN comics post. That'll be later in the week. Right now, I want to talk about a book that helped bring back horror comics. I'm going to try to avoid spoilers, but some I won't. Here's the big thing for the first volume: Vampires attack Barrow, Alaska, on the longest night of the year, which is 30 days long. Now, if any "true die-hard horror" fans are reading this, I'm gonna piss you off: only read the first three volumes. I tried reading some after that, but the core of the book isn't there. Why? 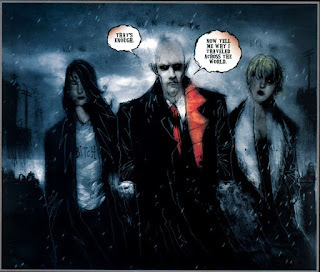 First, Niles and Templesmith got popular, and couldn't work together all the time. Second, Niles' writing got darker. The first three books have a bit of hope and duty in them, and the nobility to fight in the face of terror redeemed the books from the darkness. Third, and likely, the best reason, is that books 1-3 make a whole story arc, and there's no need for any more, though book one does just fine on its own as well. Niles did write a final bit a while back that is collected in the Cal MacDonald omnibus vol. 3, that honestly, is a bit of a letdown in some ways. I have no problems with the Cal character or stories, they aren't hopeful, they're drugged and drunken monster detective stories. I didn't mind the crossover as much as the 30 Days books past vol 3, as I could just think I missed a bunch and it changed the character. What's that? Oh, the movies? The first one captured a good chunk of the feel, but could have been more bleak by being longer. Acting was ok, and the writing was close enough that I was happy with it. The Dark Days movie that went straight to DVD was meh. More like a typical horror film, gore for the sake of it. Nothing like the second book, either. Anyway, there's some thoughts on a book that in a lot of ways, brought back horror comics as a genre. About a year ago, Peter Grant and Vox Day called for a boycott of Tor books, on the grounds that the editorial staff didn't want our money. Or at least, that's the takeaway when they call readers hateful, sexist, misogynistic, etc. In the interim, John Scalzi did not deliver a book last year(he's signed for 13), and his current book is underselling to the point that it is currently on Amazon for over 30% off. It had been cheaper, but maybe it sold enough to bring the price back up. Now, the Supreme Dark Lord has recently posted that he has information that Tor is going to be dropping a number of authors soon. Now, in one of his Darkstreams, he did mention that he did not believe this to be the result of the Torcott. Rather, he felt this to be the result of a continued string of decisions to publish increasingly one type of fiction, romance, which Amazon recently put a hammer on from being labelled as SFF. Now, I think it might be a bit of both, as well as miscalculation on the part of Tor. Tor has another author in their stable that gets a good amount of push from them, Brandon Sanderson. He's really good at worldbuilding, especially if you like magic systems that follow logical rules. I have several of his books(up to the Torcott, plus non-Tor), and while he's got a bit of Social Justice ideas, he hasn't behaved badly. Here's the bit Vox may have missed: Tor recently put out a big hardcover of Cosmere stories. It's pretty, it's big, it's largely filled with stories in anthologies. There are, I believe, two new works here: an Elantris story, and an early draft of White Sand. The big deal is that Tor overestimated demand for stories we already have. The book is already half off cover price at both Amazon and Barnes and Noble. In fact, I suspect the audiobook is doing better, as none of it was available in that format before. In addition to this, I think Sanderson is running late on the third Stormlight novel. Part of this is likely that he writes a lot of books. Part of it is his writing process, he currently states 93% on his third draft. From the standpoint of Tor, this costs them money. I have to wonder if they signed him to a similar large deal to Scalzi, for all of the Cosmere novels. And yes, I think the Torcott has hurt Sanderson's sales. At any rate, there is one thing the Torcott has done: I don't miss Sanderson's work anymore. I've got too much other stuff to read, and there's so much that's good. Why should I toss money to him, when I can give that much to more books, and help more authors? I don't wish him ill, but I see this as a win. Cower not, fierce reader! This fine day we have an interesting story. Make that two. Or three. Mr. Paolinelli could easily have made three books out of what he somehow fit into one, and cleanly at that. He came onto my radar thanks to my friend, author Declan Finn, and I found an offer of Mr. Paolinelli's for copies for review. I did take him up on this, and now he shall face the consequences! First, the fact that Mr. Paolinelli assumes his reader is intelligent, and doesn't need much in the way of assistance understanding what is happening, even when he shifts perspective, or presents somewhat more abstract ideas, and the reader is allowed to mistake what is going on, occasionally. Readers should clearly be spoonfed the SocJus version of every idea, especially when it doesn't follow logic. Next, our author also assumes that people from different times are not less than those we have in the current year. One might even argue that there are clear examples where those that came before are better than the people now. Granting any honor to the past, that is simply in bad taste. Our characters, while mostly not religious themselves, do not disparage religion, or think it for the stupid. They do seem to find it inadequate, and I'm not sure I blame them, given their setting. But they are literate in the stories and at the least acquainted with the theology of faiths, even if they do not hold it. Again, far past what is acceptable to SocJus. Oh, and we have a definite apparent belief in traditional gender roles. Not that it is persistent, but there is a serious encouragement for traditional relationships here, and intentionally so. There's also a great difference in the strengths of men and women portrayed here, though again, it is done so more subtly. Womyn, portrayed as less strong than men in any way, shape, or form? Unheard of! I'm going to discuss one of the philosophical/theological issues the book addresses in a limited fashion below the tagline, for those that don't want any spoilers. This book is a most welcome addition to my library. 8 of 10 fell deeds. One issue the book brings up is the idea of the perfectibility of man. Most SF of the religion hating variety will, by default, assume that man is improving, and that he is perfectible. That is, that a perfect society of upright and moral people is an achievable goal. This idea, to the idea of "progress", makes some sense. However, both simply observation of man, and application of the laws of physics dispute this wholeheartedly. The observation of man part is simple, we need only look to our crime headlines, and not only are they not appearing less, but they are getting more outlandish and horrific, with things such as Christmas markets being driven into, anc children being blowtorched to death. I can already anticipate somebody thinking, "Sure, I'll grant you some measure of observation, but hasn't crime been going down? And what on Earth do you mean by physics applying to a philosophical/metaphysical issue?" Until recently in the USA, the crime rates were indeed going down, and in some places, they still are. Others, they've skyrocketed within the last 2 years. Chicago recently made headlines for going 6 days without a homicide. As to the application of physics, I mean this within two aspects of the laws of thermodynamics: momentum and entropy. I use these terms because they do apply to the moral life of man. It is far easier for a good man to do good acts than for a bad man. Conversely, it goes against the fibre of a good man to do evil. The opposites apply to bad men. As to entropy, it also takes effort to do/be good. It requires an active knowledge and thought about actions and the implications of what one does, and why one does them. Without such, one experiences moral decay. That is not to say a good man becomes evil. However, the good is no longer as strong or apparent. It is akin to the shine on a polished piece of metal, or a fine edge on a blade. It holds its image for quite awhile, and thus a measure of its usefulness. But the blade no longer cuts as well. The metal doesn't reflect like it used to. The man is lazy in his moral life. It must be maintained. Now, within this book, Mr. Paolinelli does not assume quite that man is perfectible. In fact, he seems to avoid that conclusion. But, he does then present a near utopian final section, and this goes against that idea. The abolition of crime, hunger, want, and "all of the other dark things" of man is accomplished here, and I don't buy that turnaround in human nature. Honestly, this is the one part that hurt it the most, in my opinion. Utopianism requires that man not be flawed, and even the men in the book were not fixed of their moral failings, only genetically enhanced. There are some other discussion points, that could be addressed regarding Utopian systems, ideas, and enforcement, but I'll leave off on those, as I felt the perfectibility of man being the important topic. No, I'm not going into it from a theological standpoint; I don't have that much research time, and books have been written about it, including Utopian, the Perennial Heresy by Frank Sheed. Cower not, fierce reader! On this fine day, we have before us a collection of fine works to warm your enemies' hearts. Trust me, they taste better warmed. Most of these tales are by new-ish authors, though some have been in publishing awhile.On to the books! Sword & Flower by Rawle Nyanzi- He's a Puritan swordsman(somewhat like another I could name). She's a Japanese pop princess. They're now both fighting against the forces of hell in lesser paradise. A good first work, and I hope for more from him. Major crime: Does it really need to sound more awesome? Didn't think so. 8 of 10 fell deeds. Scaling the Rim by Dorothy Grant- Failed terraforming, suicidal/homicidal scientists, genetically designed settlers, and a winter that wants to kill you when it's being nice. I think Mrs. Grant might still hate that part of Alaska life a bit much. Major crime: Trust the government? HAHAHAHA. 7 of 10 fell deeds. Carson of Venus by Edgar Rice Burroughs- The Venus books continue to blow me away, and Carson takes on the Zani (yes, they are literary Nazis). This book thoroughly puts to rest any honest person's curiosity as to ERB being a Nazi or sympathizer- they're bumbling idiot bad guys. Look, if you aren't ahead of me on this series by now, and you saw my review of the first when I published it, SHAME ON YOU! THE EBOOKS ARE A DOLLAR! Major crime: Gee, refuting the dishonest narrative? 9 of 10 fell deeds. Path of Angels by Dawn Witzke- Dawn provided me with an ARC of this book, and I'm grateful. I personally found the opening more intriguing than the rest, perhaps more a reflection of preferred perspective than anything else. I also was not satisfied with the ending, but that's me. Relax, Dawn, the story IS good. There is a fair amount of proper action, perhaps a bit much introspection(though that does fit the character), and I honestly found some minor characters really interesting, making me wish for more on them. Major crime: Pilgrimage in a world where faith is illegal. 7 of 10 fell deeds. 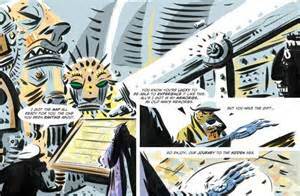 The Chicolini Incident by Robert Kroese- Yep, it's a trip into the Starship Grifters Universe. Yep, it's got comedy. Yep, there's action. Yep, there's Rex screwing up into somehow getting away with all he pulled. \shillvoice Madcap action that will have you chuckling from beginning to end. \end shillvoice Major crime: How many times can a con man screw up and stay alive, honestly? 8 of 10 fell deeds. So this time, I'm going to cover a comic that was co created by Frank Frazetta, and scripts by Gardner Fox. 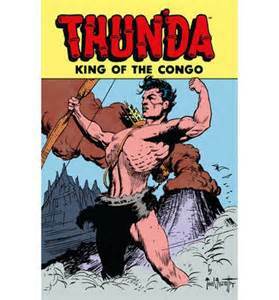 Frazetta only stayed through the end of issue one, as the stories changed far from his original vision. 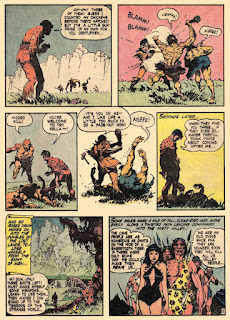 Bob Powell(no slouch, but he's not Frazetta) took over for the art duties for the rest of the life of the character. Freaking awesome, right? The first issue had four stories all drawn by Frazetta, and there's some wondrous stuff within. He's a pilot that crashes into a "lost world" (as far as the initial story), and loses his memory. He still has his pistol, which save him a couple times, but he starts training and makes himself a bow to hunt and defend himself. The first story ends with our hero earning his name after killing a giant snake god, worshiped by the cave men(neandrathal like). Unfortunately, after this story, STILL within the first issue, the world is suddenly shifted from a prehistoric world to another version of Africa, albeit with some fantastic elements. Thun'da raises a sabertooth cat, that becomes a loyal pet, Sabre. The first issue still has Frazetta throughout, though it's not the same world as the first issue, it's still good adventure, though it reads more like a Tarzan story than something that has a world with the great monsters from a world like Conan. After issue one, Powell takes over, and does a decent job throughout. Honestly, his work is pretty comparable with any of the other top tier artists short of Frazetta himself and Hal Foster. Some stories also appeared in a book called Cave Girl, but all are in the one trade. Recently, Dynamite entertainment did a Thun'da miniseries, which I need to check out, as they try very hard to do well by old pulp characters. I'm thinking a ERB Tarzan adaptation for the next installment of the series, likely one of the two Russ Manning comics I've got. After that, I'll alternate back to another that isn't ApN, but is definitely pulp, and a bit of pulp revolution stuff.